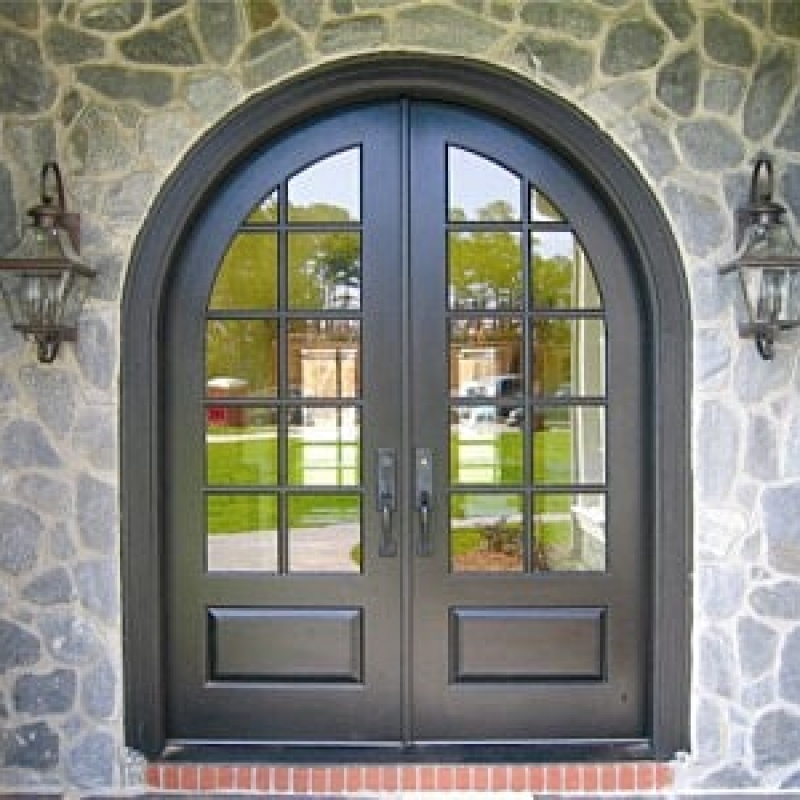 French doors come in many different shapes and styles. 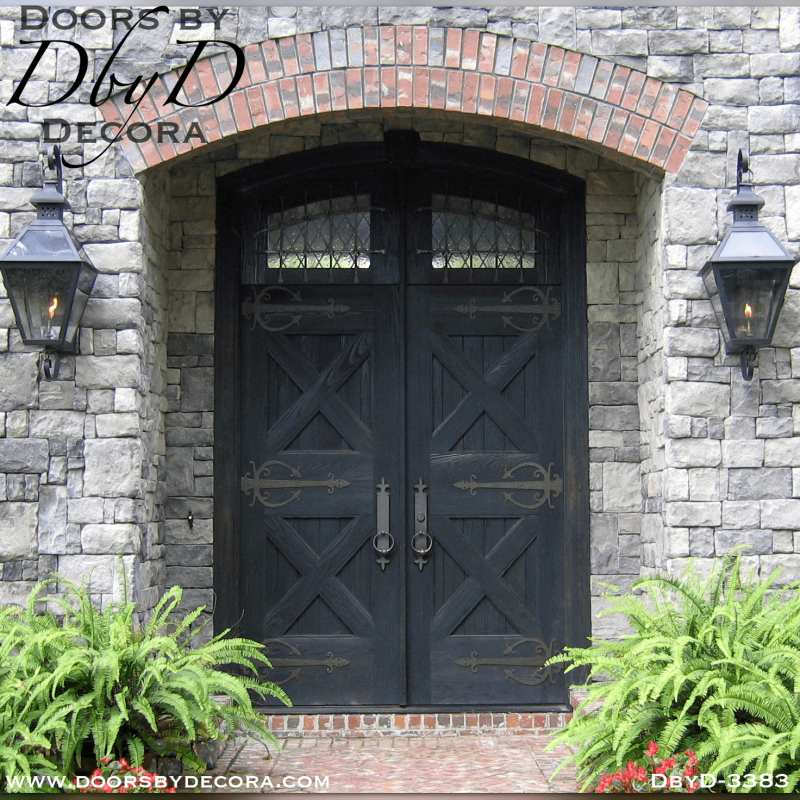 From the simple true divided lite doors, to more intricate leaded glass doors, they are all beautiful! 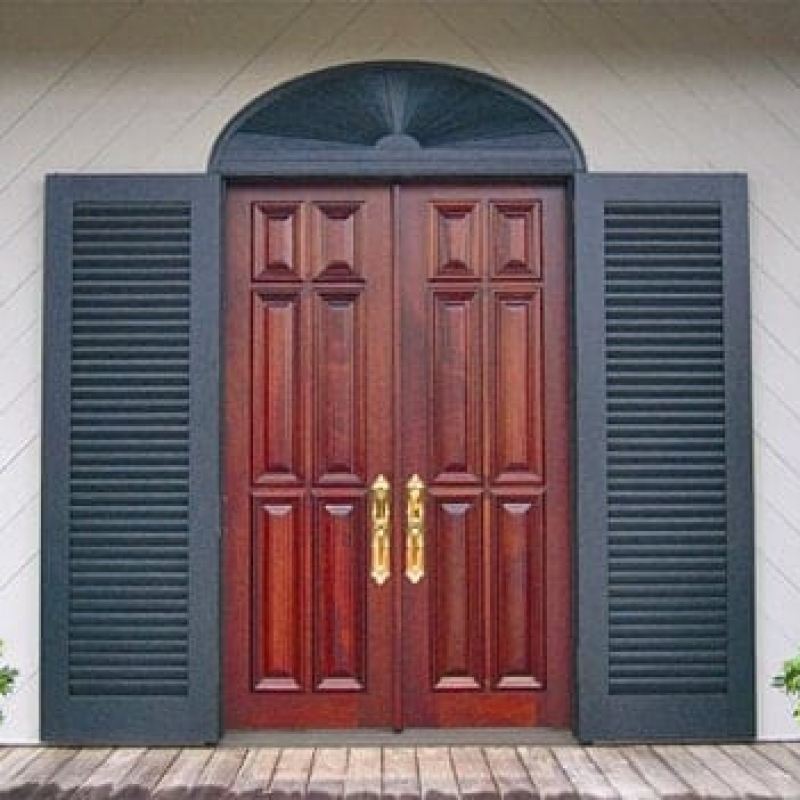 Our french doors are a fundamental part of all of our door collections. 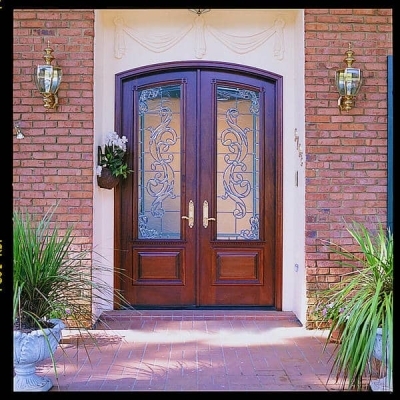 We provide a kerfed t-astrigal for all of our double doors to help protect you from the weather and block out light. 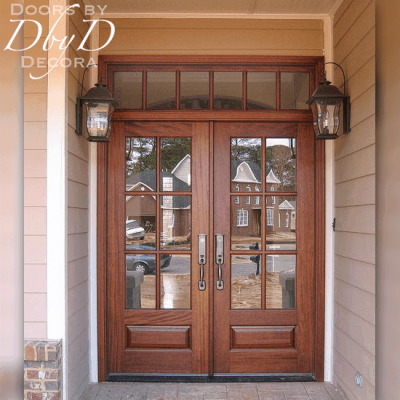 Furthermore, we supply weatherstripping and door sweeps on all of our units to further insulate your door to sound and weather. 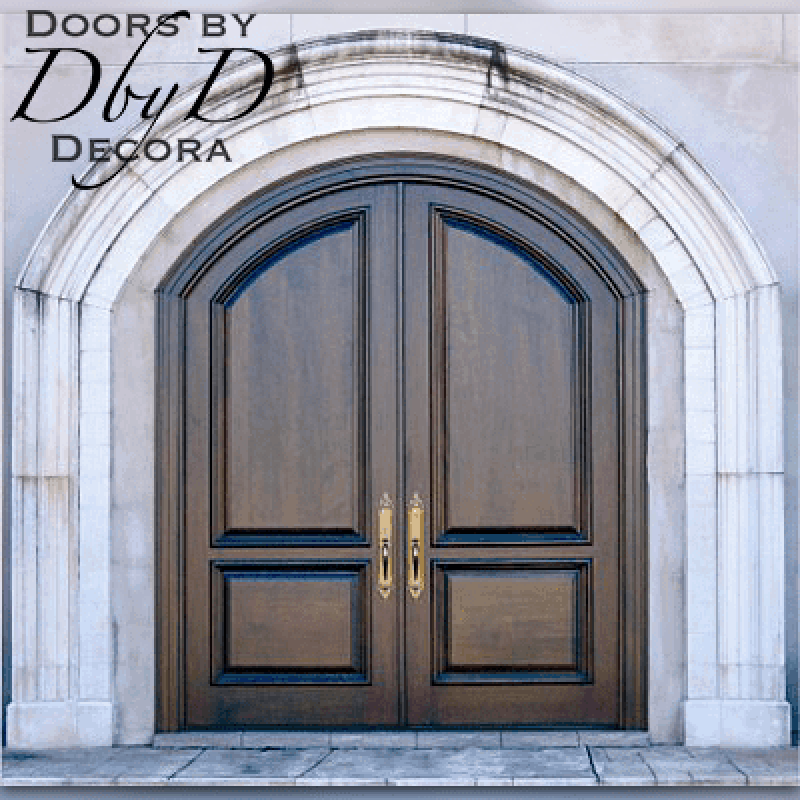 When you close a Doors by Decora door, you will feel like you are safe behind a sturdy work of art. 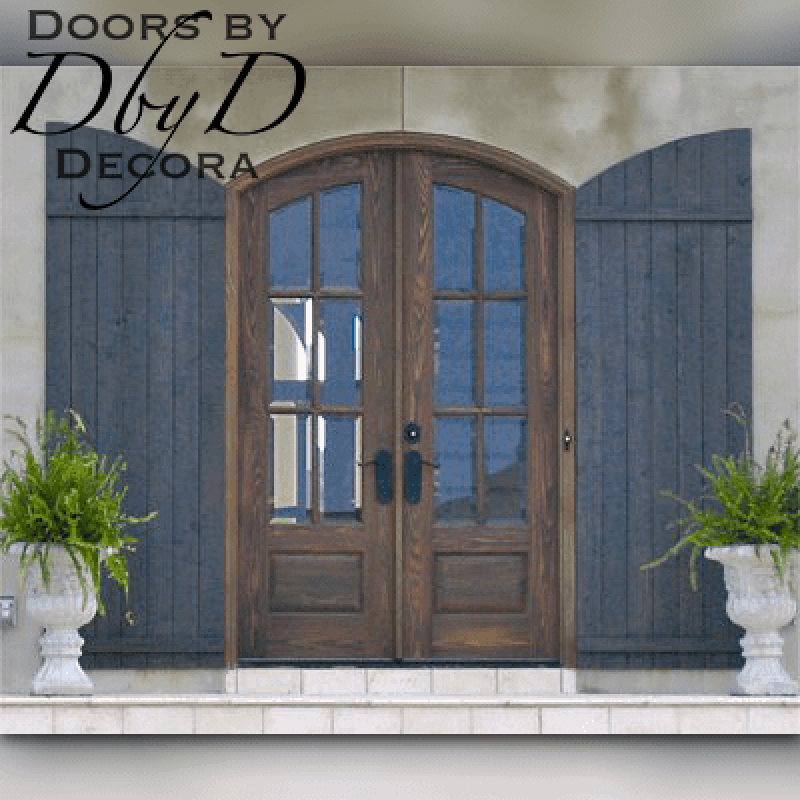 At Doors by Decora, we use many design elements so our french doors are the most beautiful, striking doors around. 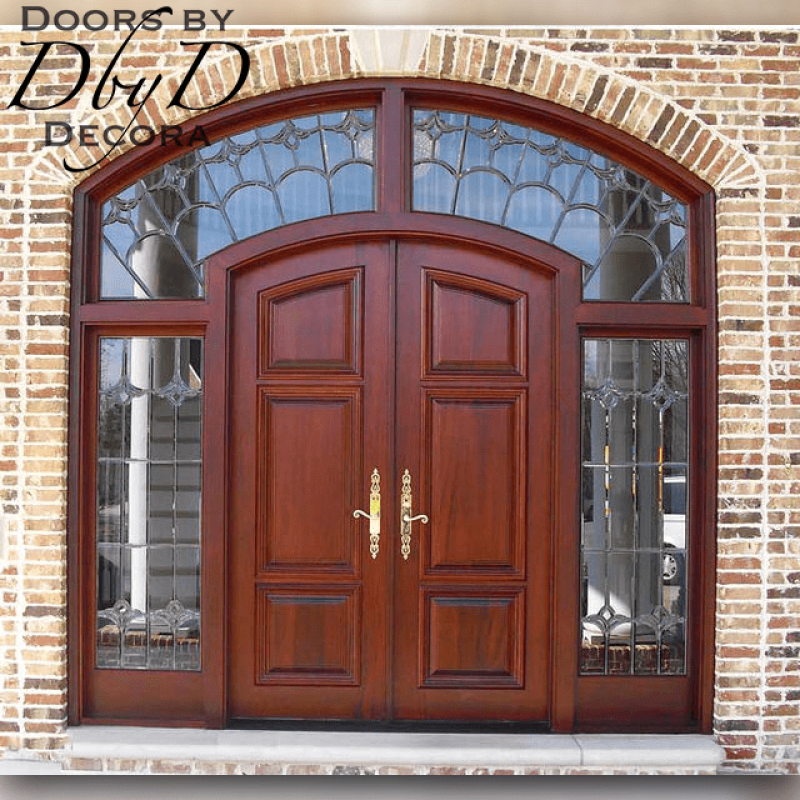 First of all, all of our french doors are custom made with your selections of trim molding and panel configurations. 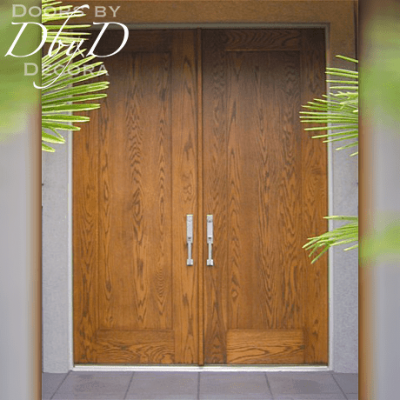 As a result, our customer’s have the opportunity to design a truly unique pair of doors. We also have an in-house glass studio where all of our leaded glass is custom built. 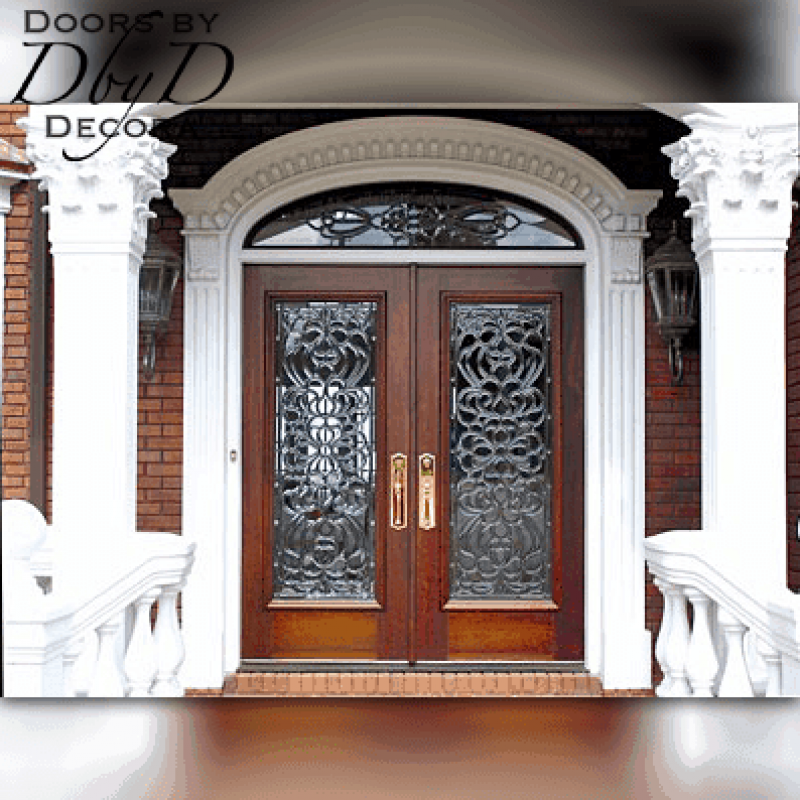 That means that we can custom design a leaded glass piece for your door, or take any of our existing designs and modify them with color if you prefer. 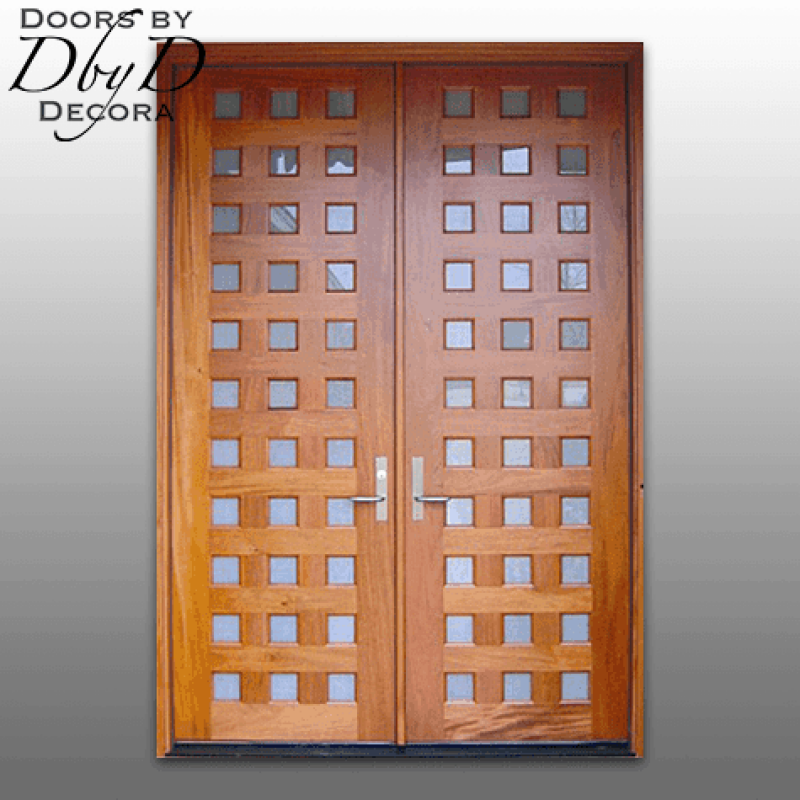 In addition, if you are concerned about energy efficiency, we also have the ability to insulate any of door glass options. 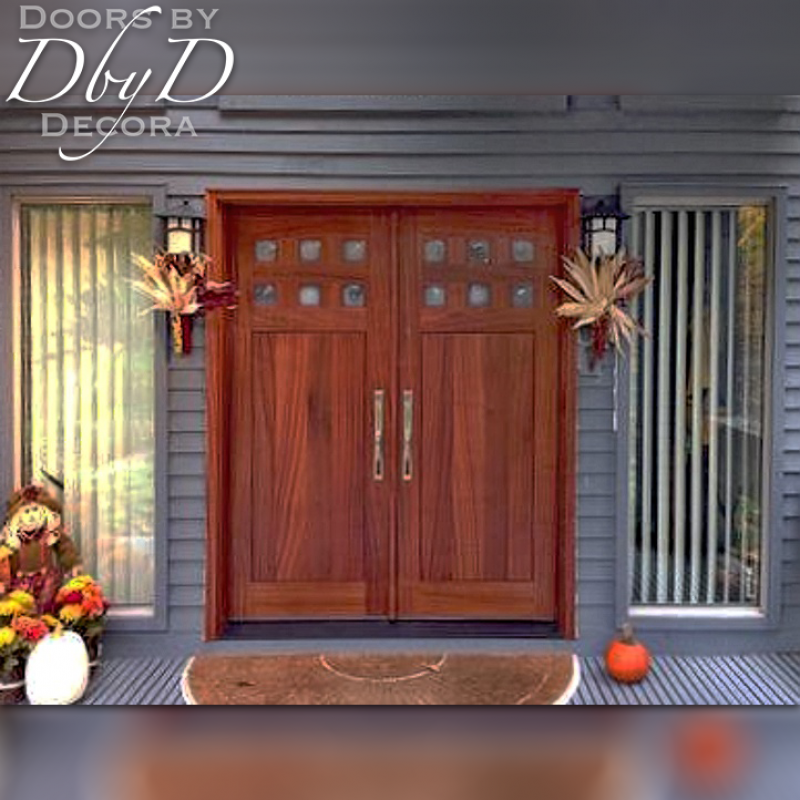 Many of these details are featured in the doors below, or you can view all of our doors.